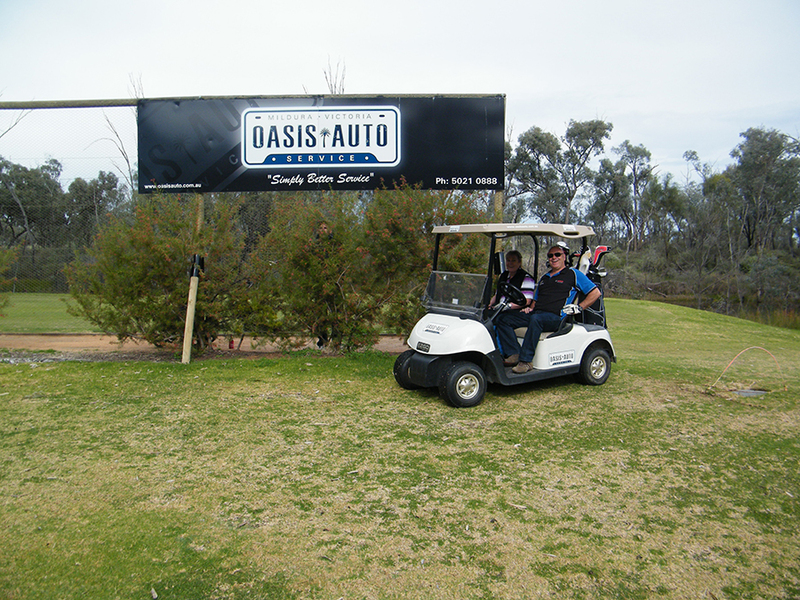 Every Father’s Day, Oasis Auto Service are the major sponsors of a golf day at Riverside Golf Club www.riversidegolfclub.net.au in sunny Mildura. 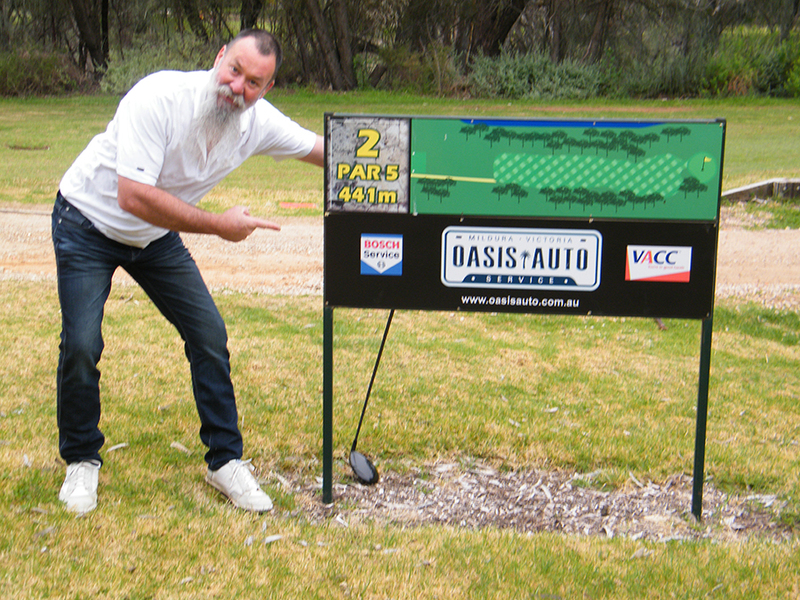 This day is primarily to raise much needed funds for “The Royal Flying Doctors” and has proven to be a fantastic day for the serious golfer and the not so serious hacker like myself. Over the last 2 years we have raised over $18000 for the RFDS with the major draw card being a $10000 hole in one prize on the 18th hole (approx. 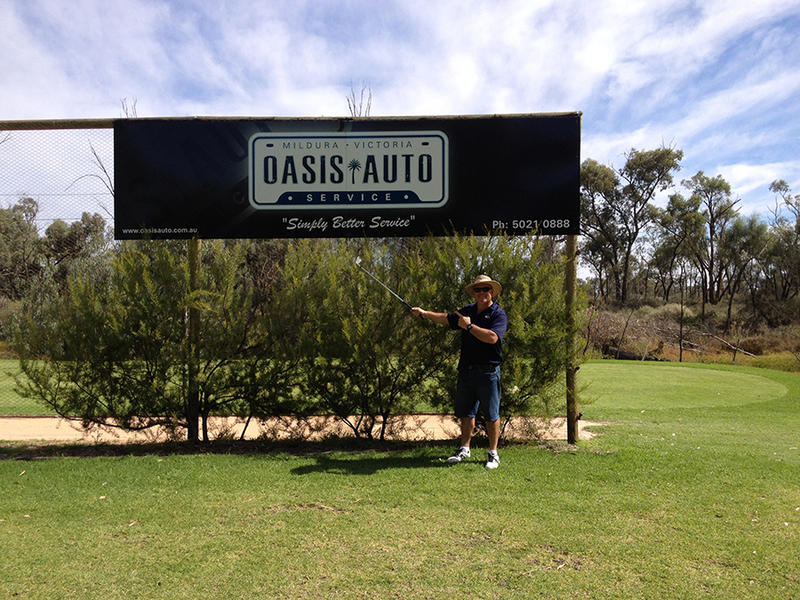 130m) sponsored by Oasis Auto Service. This fantastic cash prize has not been won to date , however some very close calls have been witnessed as the clubhouse overlooks the 18th green. A great day is had by all.